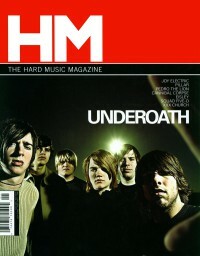 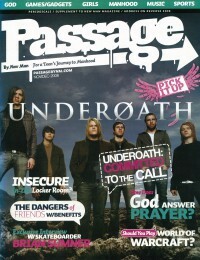 May 2004 in HM "The Men of Underoath"
Jan 2006 in HM "Poster: Underoath"
May 2006 in HM "get out of our way! 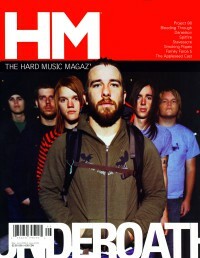 by now we know what we're doing." 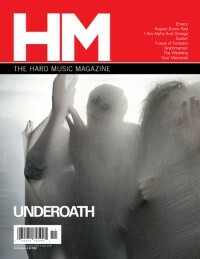 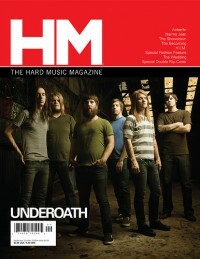 Nov 2008 in HM "Hardnews: Quick & Concise: Underoath, The Almost"
May 2010 in HM "Hardnews: Quick & Concise: Underoath, AAron G Split"
Apr 2011 in HM "Poster: Underoath"
Aug 2012 in HM "Poster: Underoath"
Oct 2012 in HM "Hardnews: Quick & Concise: Underoath Announces End"
Jun 2015 in HM "From the HM Vault: Underoath in "
Short Form Music Video: "Writing On The Walls"
Short Form Music Video: "Too Bright To See"
Best Short Form Music Video: "Writing On The Walls"